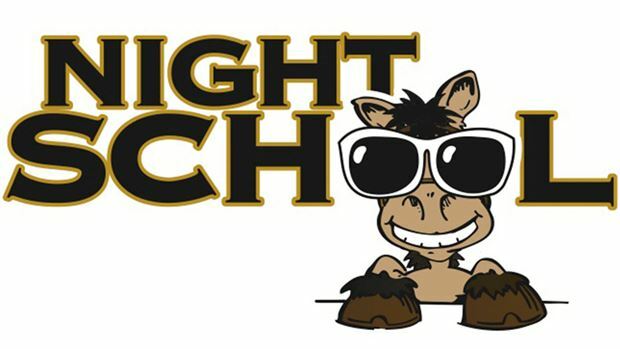 Night School, the racing industry’s national online fan education program, previews the upcoming Breeders Crown in this Tuesday’s interactive live chat and video review. The 12-race fixture on the harness racing calendar will be renewed Saturday at Mohegan Sun at Pocono Downs, and this week’s 90-minute lesson plan will ready horseplayers for the action. It’s the kickoff week to the final 8-week “pod” of learning in the 2013 Night School syllabus, dubbed “Championship Season & The Stars,” which will feature championship preview lessons for events such as the Breeders Crown, Breeders’ Cup and the AQHA’s Bank of America Racing Challenge Championships. Each week’s downloadable study materials will include historical information on the sports’ biggest events to further fans’ understanding of their history and importance. For a complete list of the Pod 5 topics, see the link at the end of this release. Joining Night School co-hosts Joe Kristufek and Jeremy Plonk for week 33 of the 2013 season are a trio of guest instructors; Breeders Crown television analyst Dave Brower, Moira Fanning the director of operations and publicity for the Hambletonian Society and Breeders Crown, and T. J. Burkett, who serves as the executive editor of Hoof Beats magazine, the official publication of the U. S. Trotting Association. The panel will look at the Breeders Crown eliminations from this past weekend and focus on what to watch for in Saturday’s main event. Night School’s traditional “Jump Ball” segment during the final portion of the weekly lesson also allows fans to chime in and ask questions about any racing topic. Night School also will host a live chat during Saturday’s Breeders Crown program, beginning at 4:30 p.m. ET, which will be displayed exclusively at USTrotting.com and placed next to the free live streaming video. More than 6,000 fans tuned into the Little Brown Jug Day live chat last month. Thoroughbred fans can meet Night School’s Jeremy Plonk and Brian Nadeau as they teach hands-on Saturday at Laurel Park on Maryland Million Day. It’s the Night School Tour’s second trip to the Maryland Million, and next-to-last stop on the 2013 schedule. The Tour concludes Nov. 1-2 at the Breeders’ Cup in conjunction with America’s Best Racing when Kristufek, Nadeau, Brandi Goode and Tim Brannan will be teaching on-track at Santa Anita.